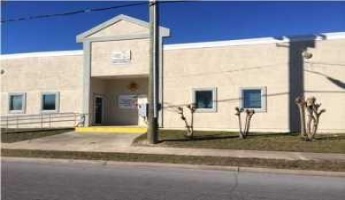 880+/- acres of prime development property with approximately 1.5 miles of frontage on Highway 331 in Freeport, Walton County, Florida - the 6th fastest growing county in the US. Attractive pricing and ideal topography help make this the perfect place for your next Residential, Commercial, or Industrial development. Perfectly positioned on one of the largest homesites in WaterSound Beach and offering breath-taking panoramic Gulf views, this 7-bedroom beach house boasts unmatched outdoor space perfect for hosting guests or large family gatherings. The expansive courtyard offers a spacious pool deck with a large pool, a pergola with an outdoor dining area and a covered summer kitchen. Rare gulf-front home offering in ultra-exclusive Four Mile Village. Near Grand Boulevard's best shops and restaurants, there is a little-known, peaceful community thriving with canopied oaks, relic sand dunes, and 2200 ft of quiet beaches. Established in 1941 as a ''place of peace, a place of quiet,'' this legacy continues today. This newly constructed home designed by renowned architect firm, Khoury-Vogt Architects, located on the Beachside of Alys Beach, presents 4 bedrooms, 4 baths and 2 half baths. An elevated kitchen overlooks the spacious open dining and living space, which is equipped with folding doors that open to a gracious courtyard, with a pool and summer kitchen. 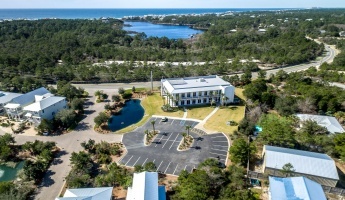 ACTIVE DEVELOPMENT ORDER approves this (122)-Unit Multi-Family Apartment Development Opportunity, located in South Walton County, Florida, and only 1.6 miles North on County Road 393 from Ed Wallene Beach-Front Park on Scenic 30A's, one of the most favored in the area. Prime Gulf Front property in Deer Lake Beach. Spanning over a total of 6,300 sqft, this beautiful waterfront residence abounds with large open concept spaces and endless sweeping views of the emerald waters and breath taking view of the surrounding state preserved dunes that can be enjoyed from many areas of the home's designed layout. 1 buildings totaling 34,000 SF sitting on 2. Situated on Lake Marilyn, the most desirable location in Alys Beach, you will find this spectacular home. A secluded side entrance leads you into the voluminous two story living area that has ample seating for entertaining or cozy gatherings in the media area or fireplace. An intimate courtyard is just off this area and allows the living to flow seamlessly inside to out.